I'm only about 1/3 of the way through this novel and already am in love. Every single one of my friends who likes Sci-Fi and videogames, particularly MMOGs, will be pwnt by this book. He is managing to gracefully tie together MMOGaming, globalization, trade unions, and abuses of workers in third world countries in a fantastic dystopian vista of awesome. It's really making me think, which is what I like about well-written SF. I will update when I'm done but already heartily recommend this book to everyone with a shred of geek gamer in them. OK, I had it wrong. Elevating this one star to 5, since it's one of the most important Sci-Fi books I've read. Ever. It's mostly about young people, which is hard to pull off convincingly, unless you are George RR Martin or Orson Scott Card. 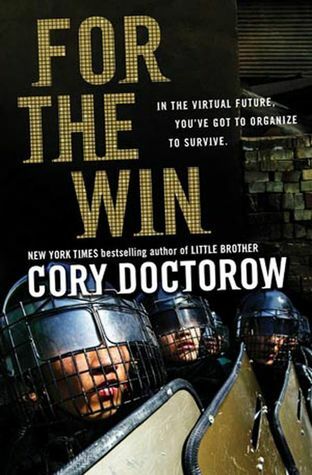 Cory Doctorow does it beautifully. Sign into Goodreads to see if any of your friends have read For the Win.